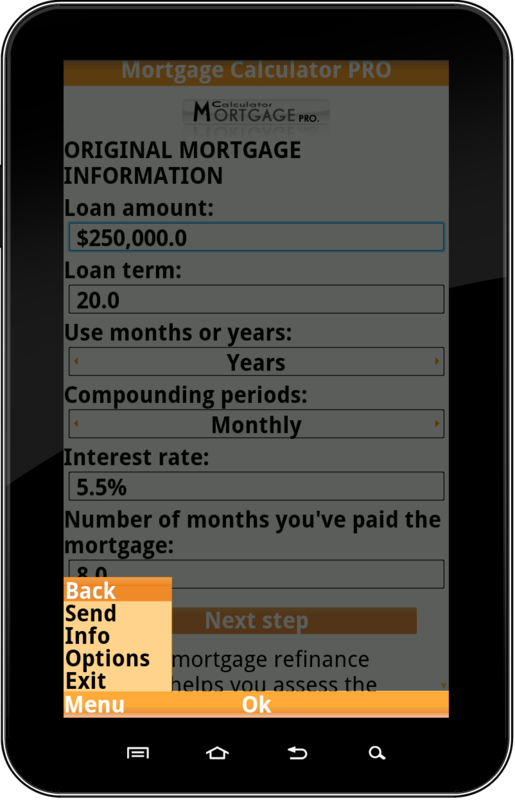 Different screenshots at 240x320 resolution. 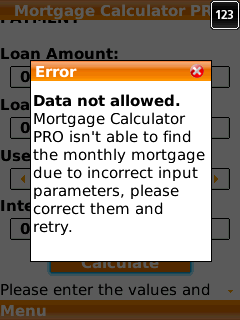 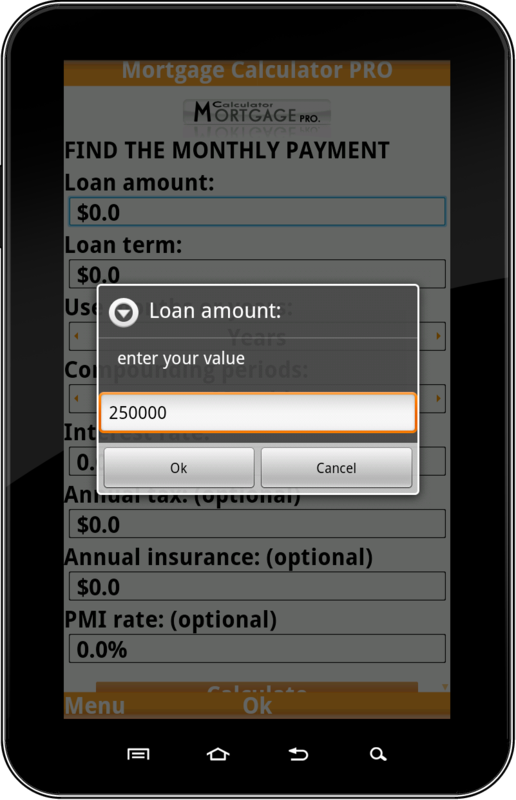 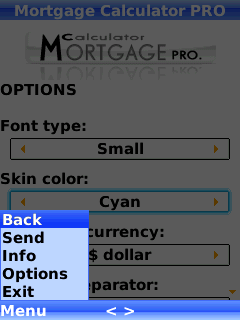 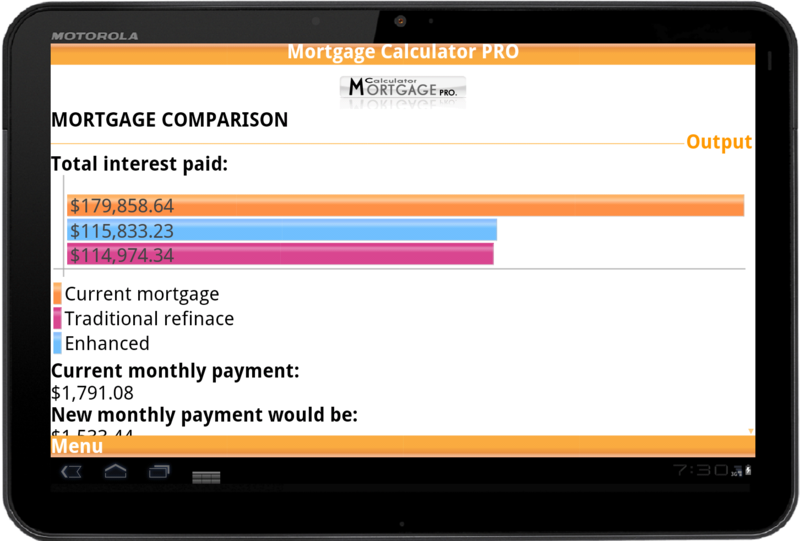 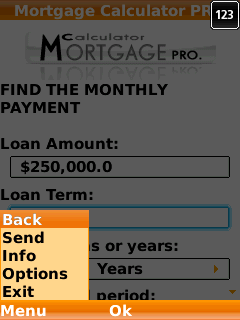 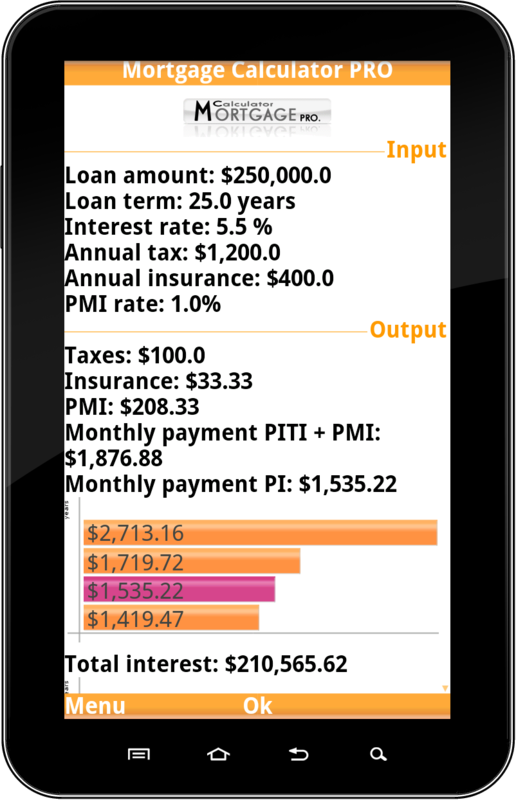 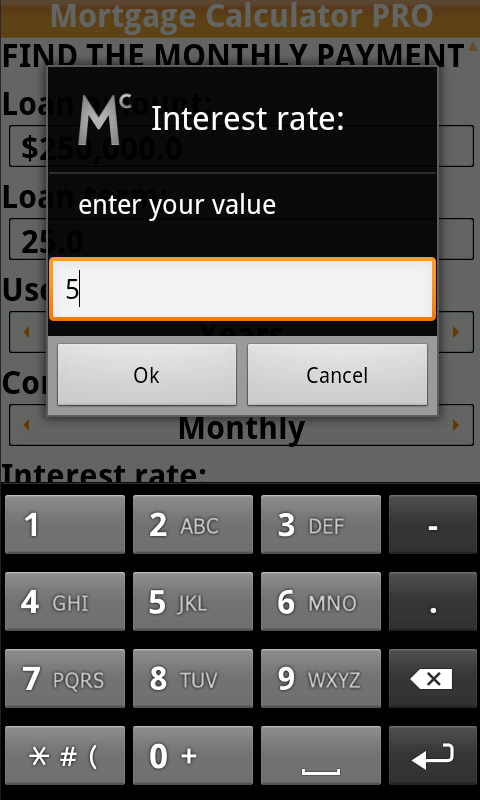 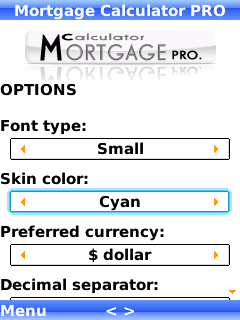 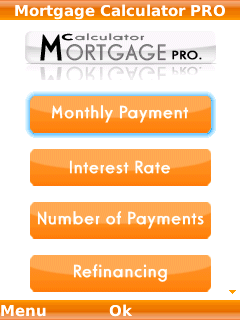 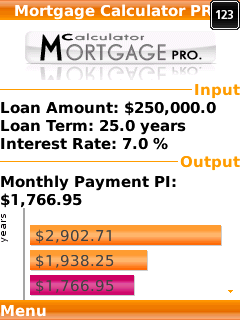 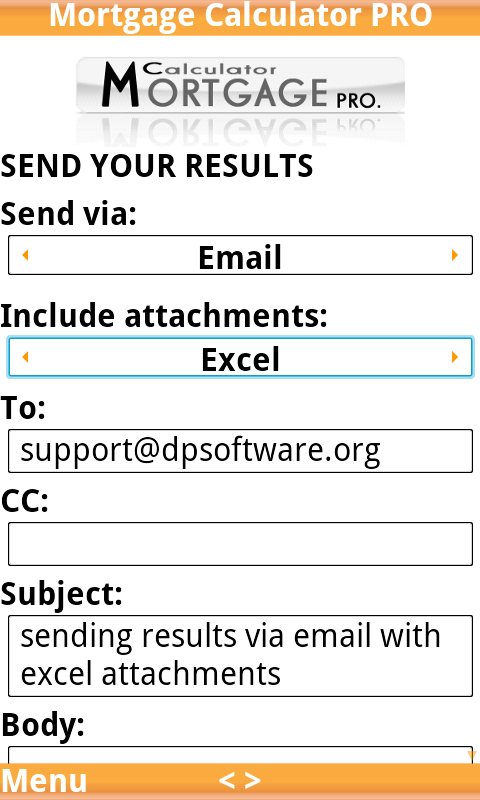 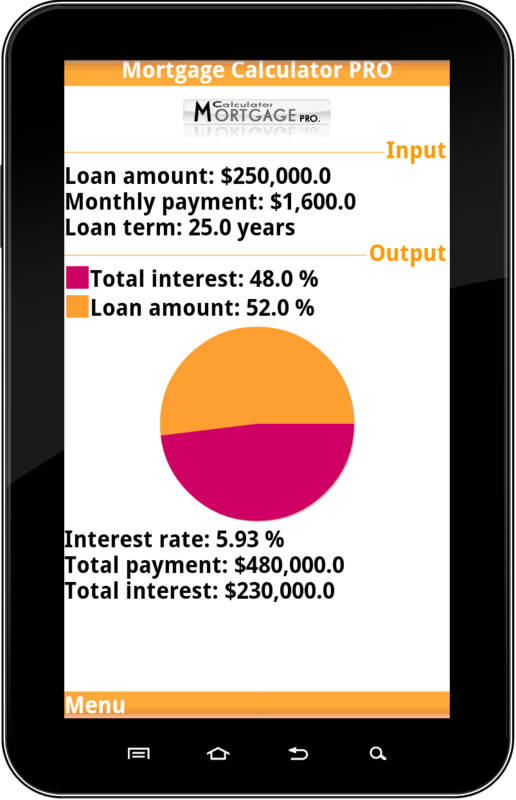 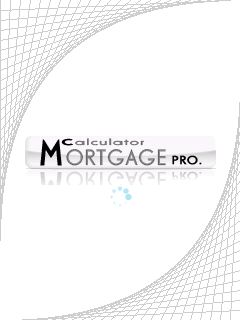 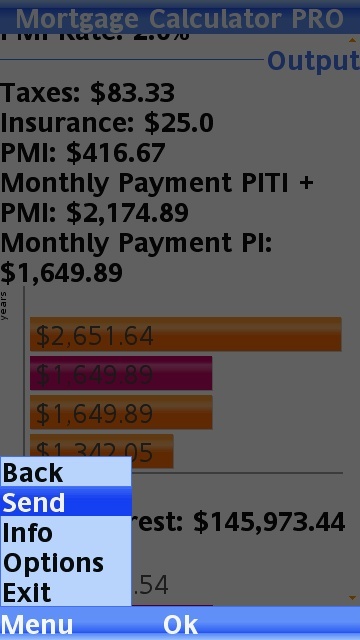 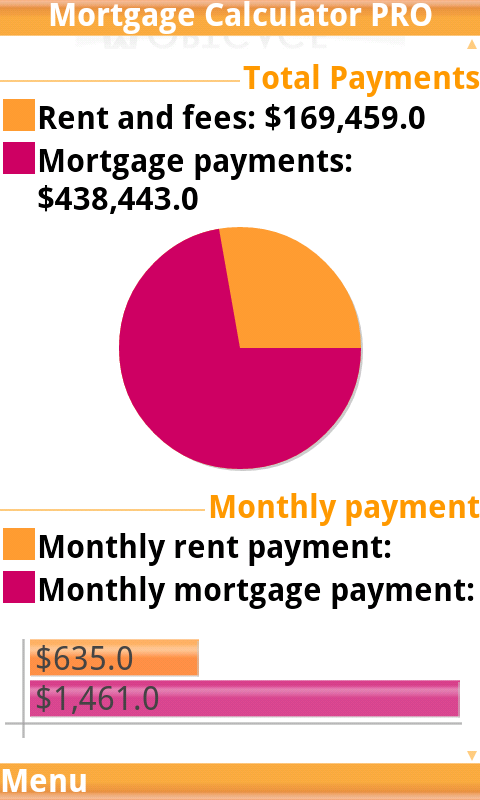 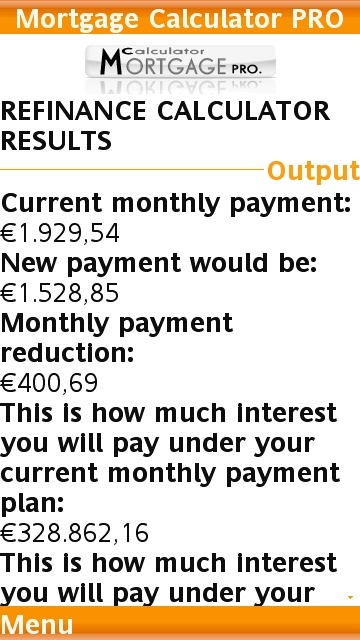 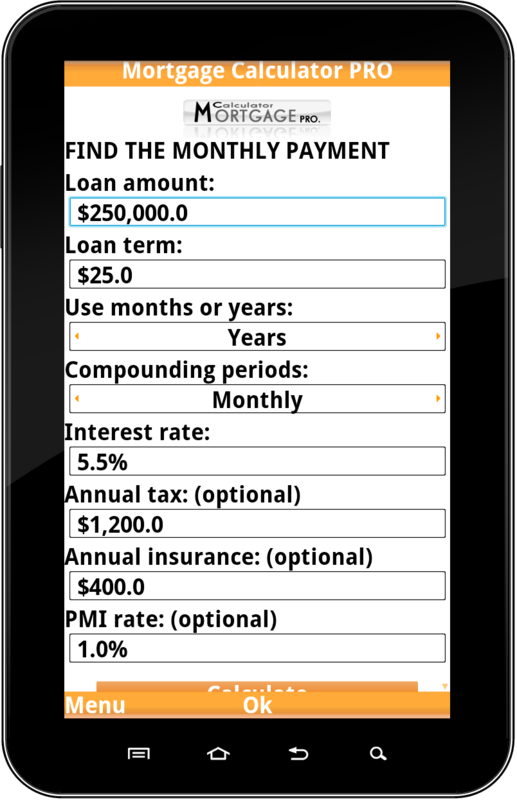 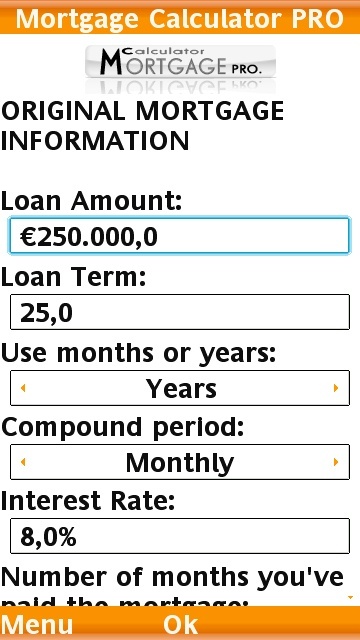 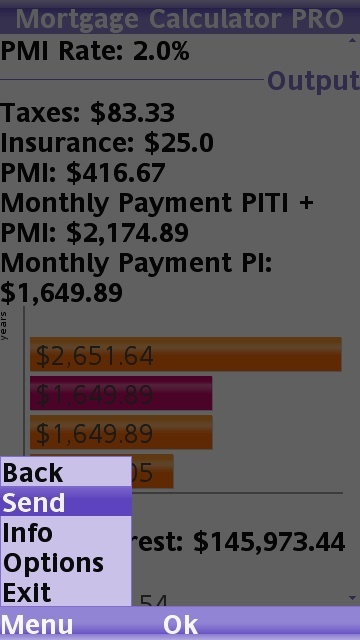 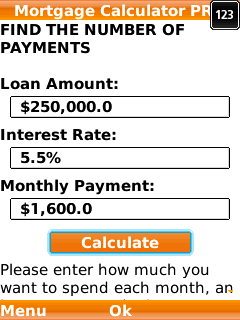 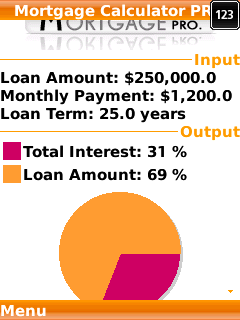 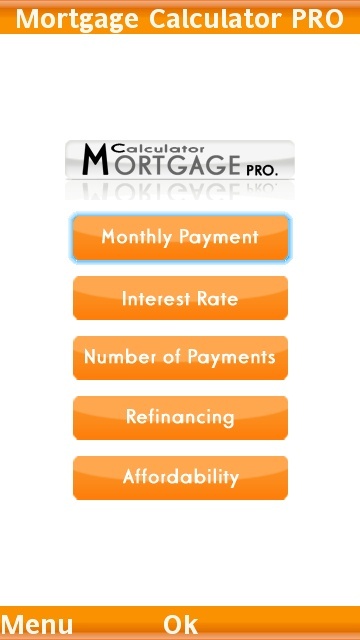 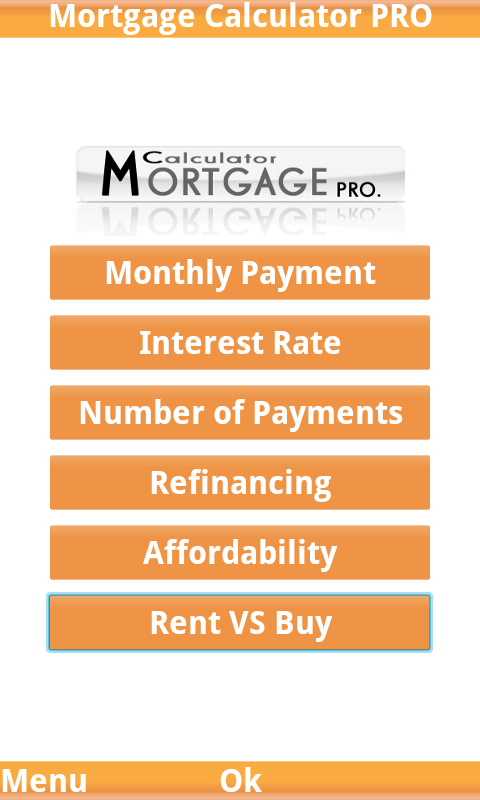 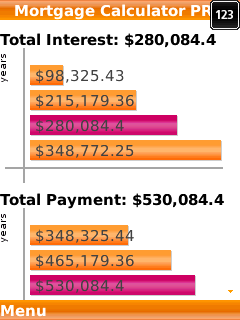 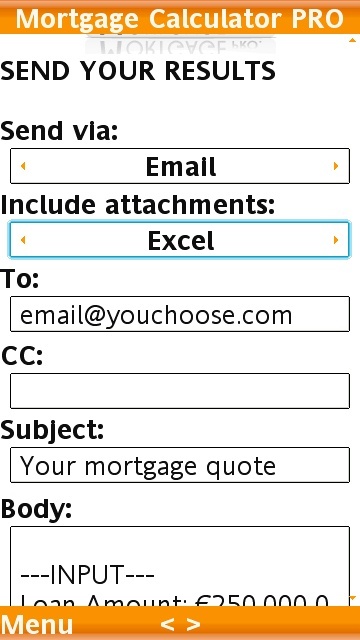 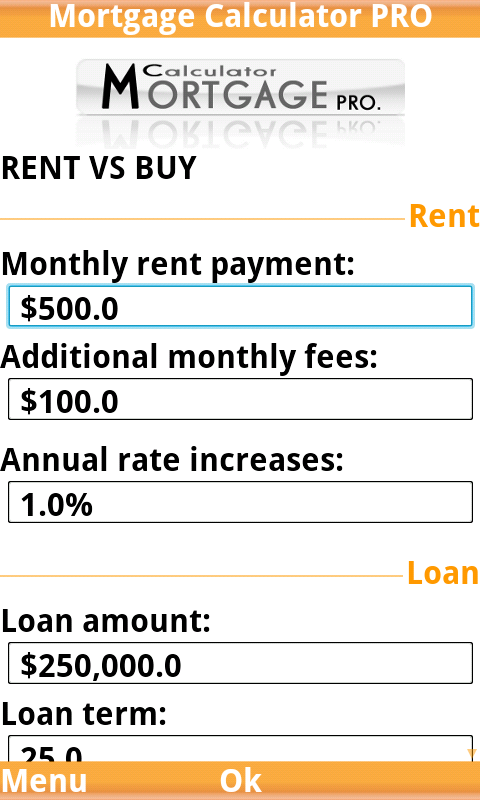 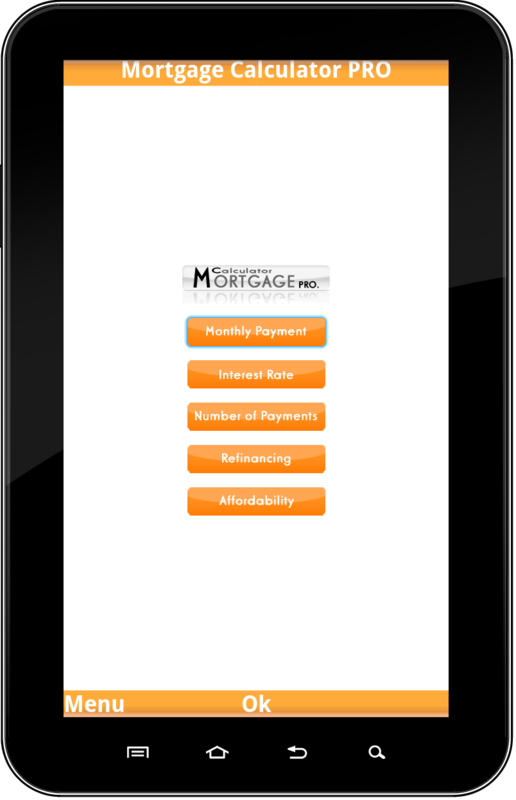 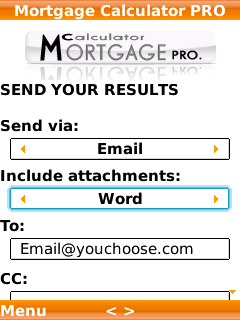 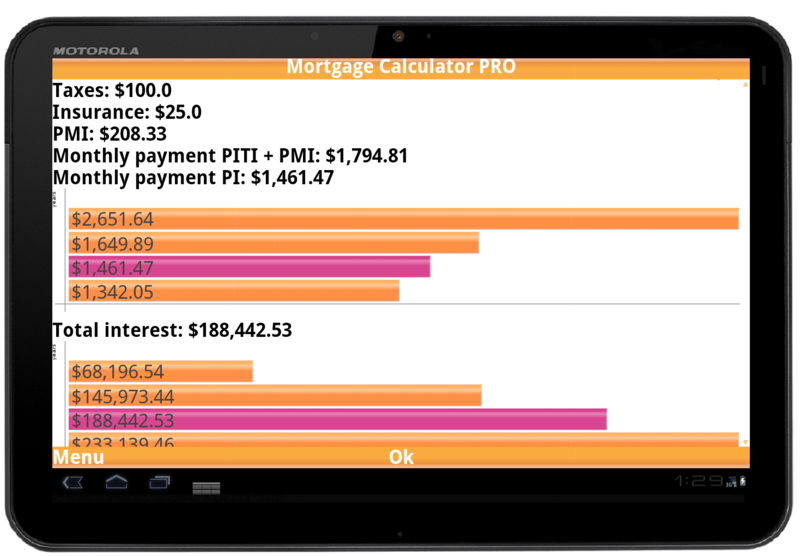 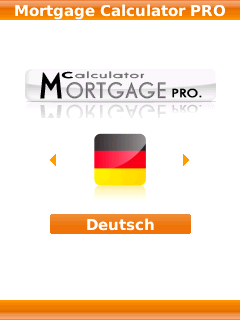 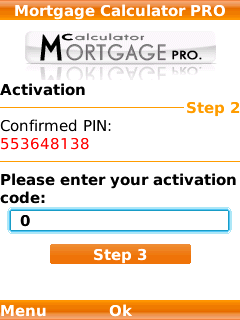 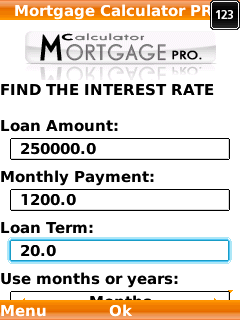 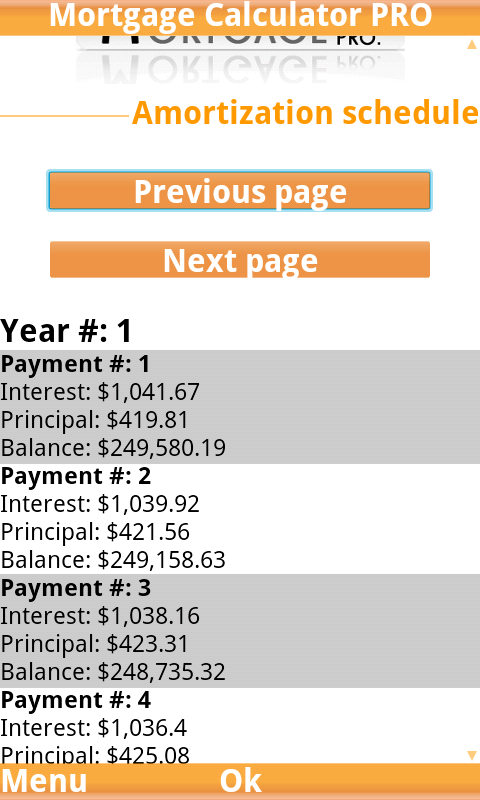 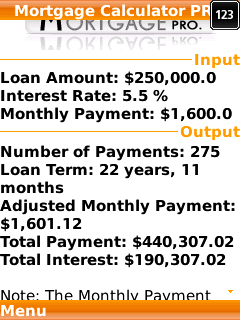 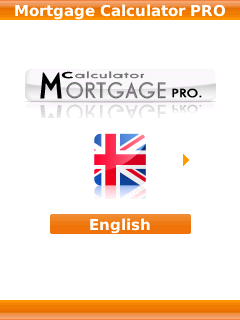 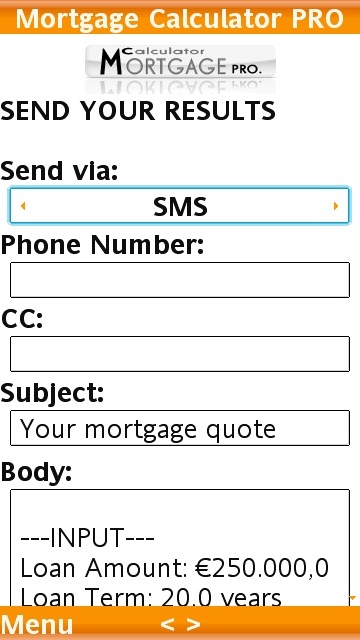 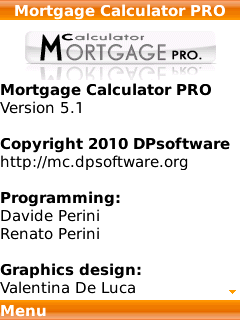 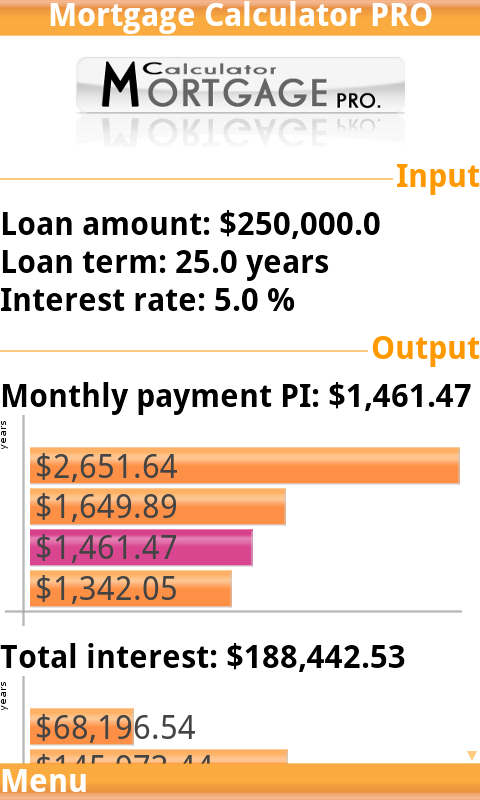 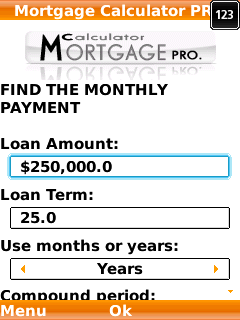 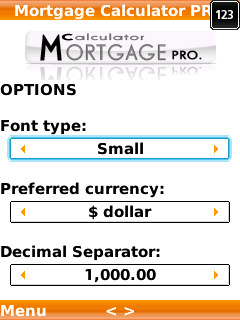 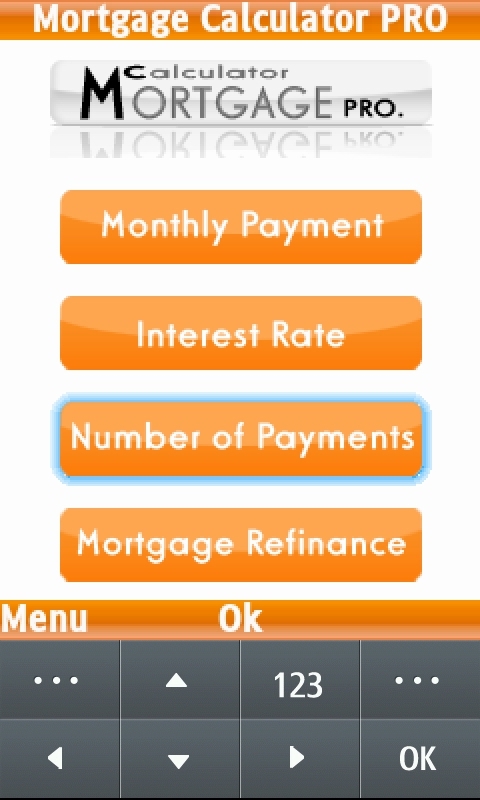 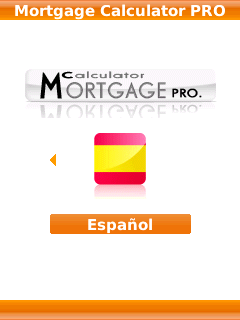 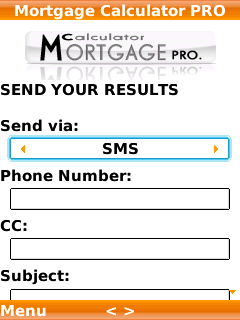 Illustrating Mortgage Calculator PRO features on BlackBerry Torch 9800 using touch screen. 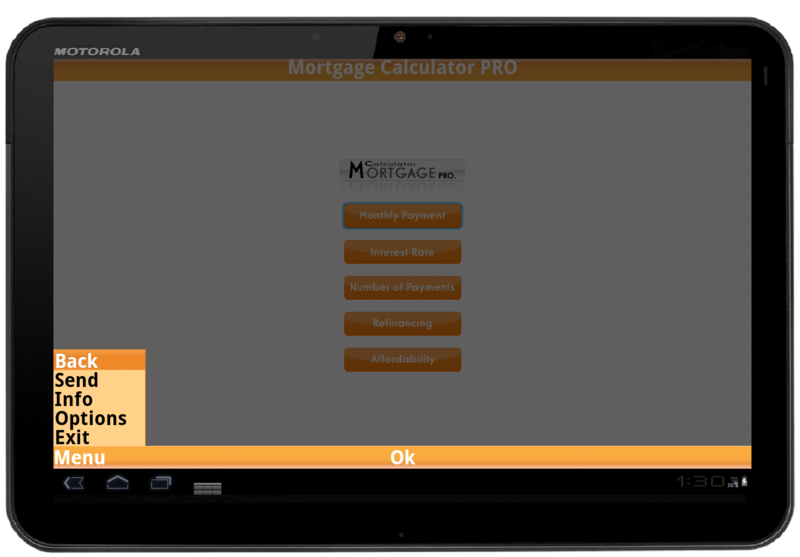 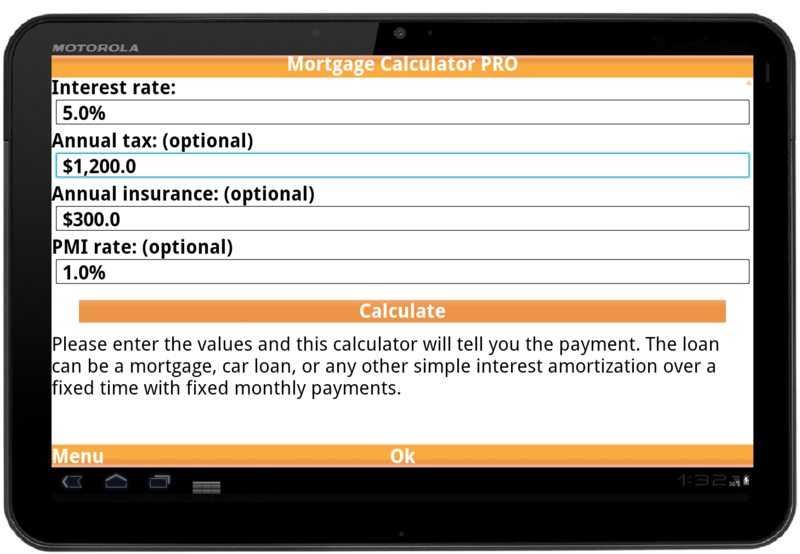 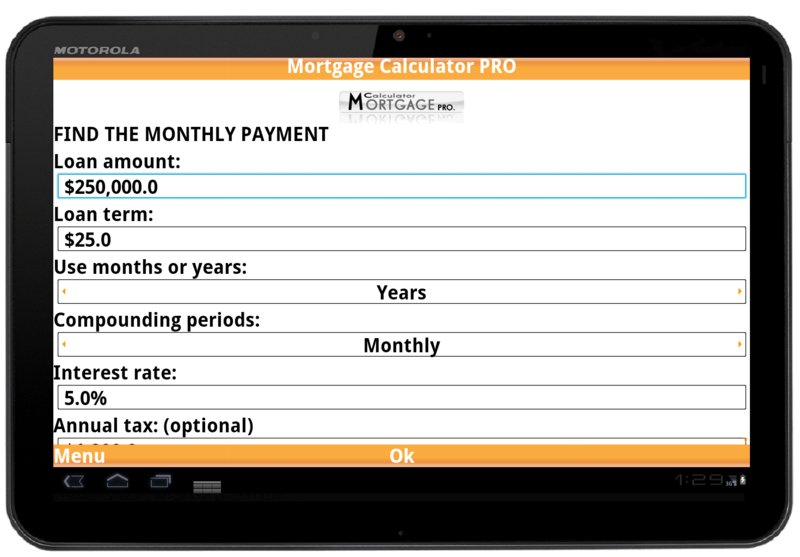 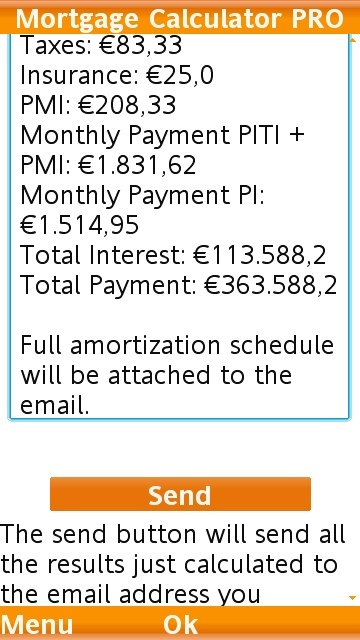 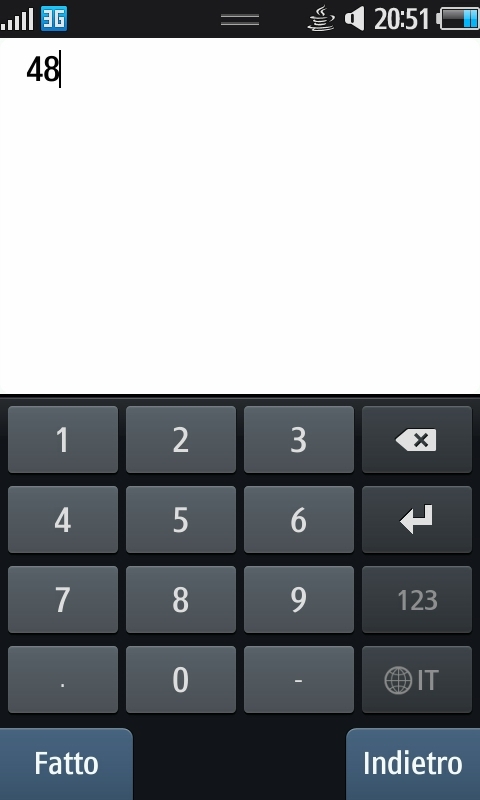 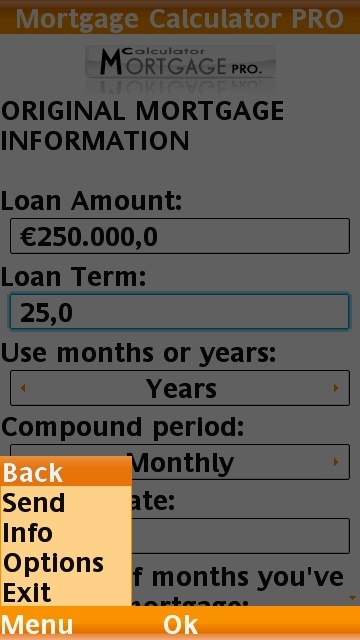 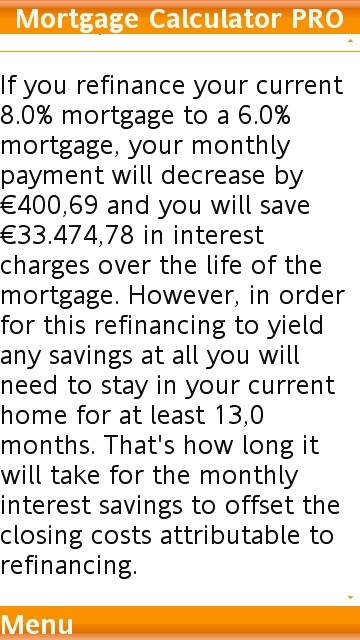 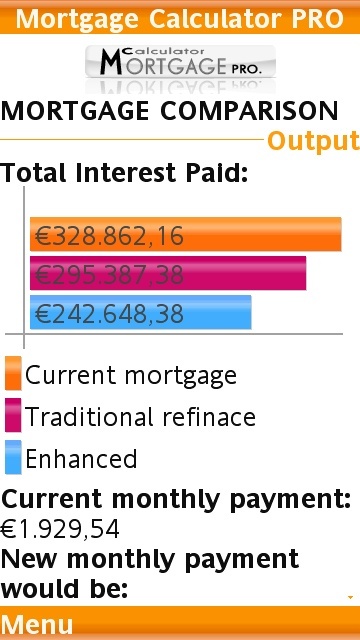 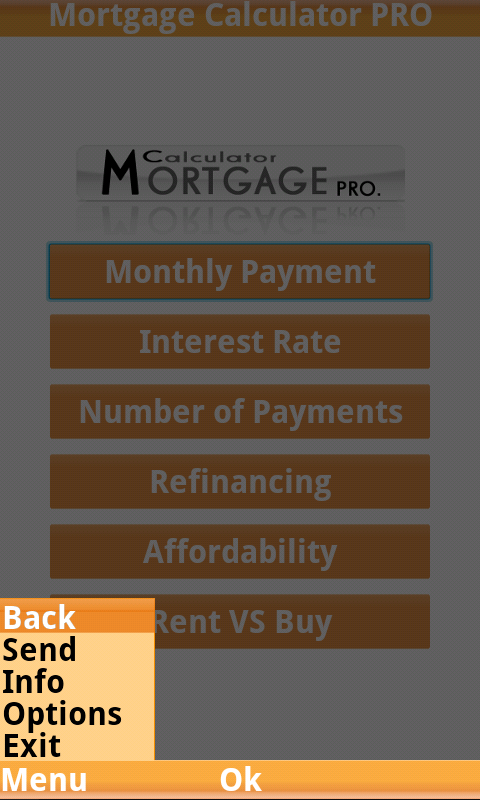 Illustrating Mortgage Calculator PRO features on Google Nexus-S (Gingerbread) using touch screen.